User-friendly navigation. Dynamic appeal. Putting a face on the company name. That is the aim of creating a completely customized web identity to build the online image of clients. This is done with research on the subject to be presented, including the position of the company, the image the client wishes to portray, and what their expectations are from their online presence. 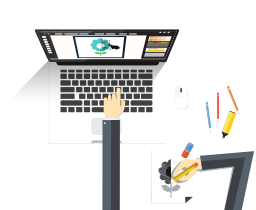 The Foresite team formulates a creative think tank with a plan to create such online image, how to go about designing the concept through the use of various tools. First impressions can make a lasting impact. That is why with Foresite, layouts are eye-catching, magnetic, and engage visitors with the aim to increase profitability and retain potentially new consumers. The simple refurbishing of a website without the proper study and strategy could leave your website victim to outdated content and create an inconvenient user experience. Foresite aims to enhance the image of the website, increase effectiveness, and rejuvenate the experience with proper design; managing updated content and enhancing navigation. Does the concept of an overly interactive website overwhelm you? 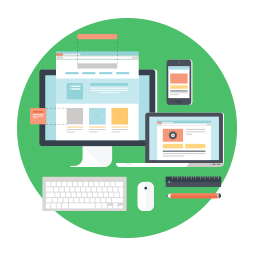 Foresite offers clients looking for simple, to-the-point solutions static websites, which enable the efficient promotion of the client’s philosophy, products and services manner. This is not only a way in which your customers can stay up to date with information, and maintain an online connection, but it is also cost effective and simple. For clients with a need to continuously update information online, be it content, images, video, or more, Foresite offers a Content Management System (CMS) for your website. Giving users control over their data published, Foresite utilizes Drupal to provide essential features that enable users to easily manage and maintain information and data shown on websites, including editing and sharing content, creating links easily, and previewing your site before publishing online. With the increased usage of smartphones for web, it is essential to have the option of catering to your clients with mobile versions of your website accessible to them. Foresite gives you the option of customizing your website’s current interface to ensure compatible user-friendly mobile versions, which in turn provides a continuous connection between you and your user, anywhere, anytime.